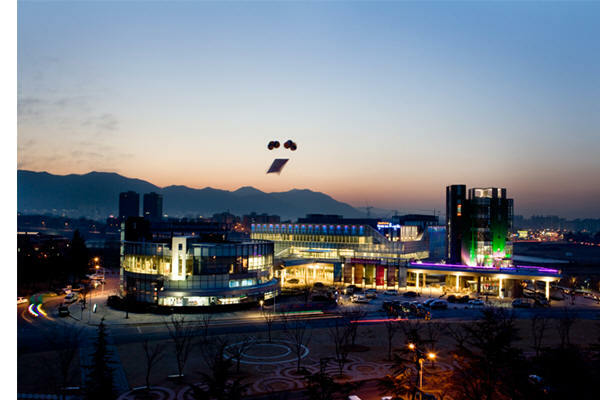 ◇ After arriving at Daegu International Airport, it takes 25 minutes from the airport to the university by taxi. · After arriving at Dong Daegu Station, it takes 30 minutes from the station to the university by taxi. 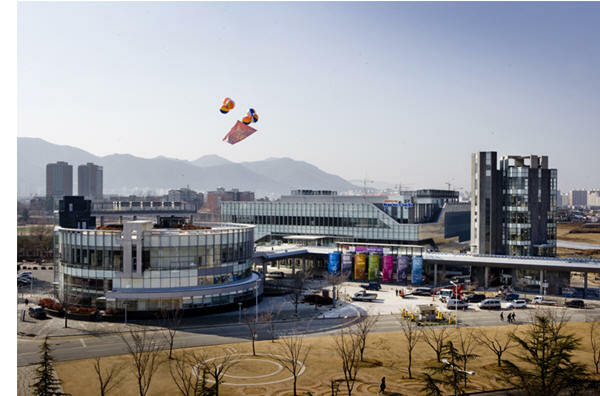 · After arriving at Gyeongsan Station, it takes 5 minutes from the station to the university by taxi. 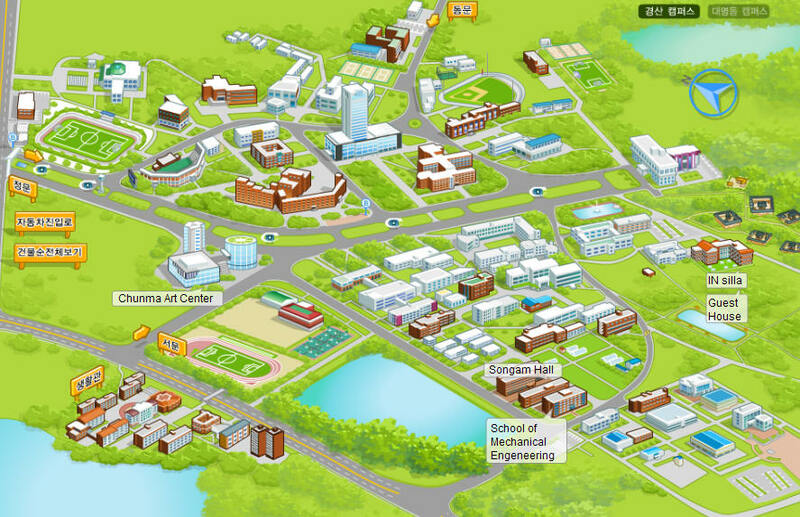 · Please note that Yeungnam University has two campuses, Gyeongsan (Main Campus) and Daegu Campus. · The Center International Programs is in the main campus. 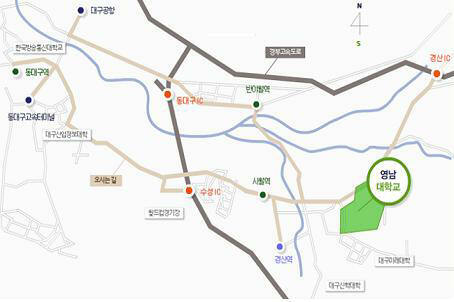 ◇ From the main gate, Go straight passing by tollgate until you see two buildings located the end of the road. ◇ Mechanical engineering major's office is on the second floor.